Time is not always on your side when it you order furniture for your facility. Long lead times and pressing needs can make it difficult to get furniture for small projects with short deadlines, and that’s even if the furniture you can order is up to your standards. That’s why we started a special program to help speed up the process for facilities in need of quality furniture. 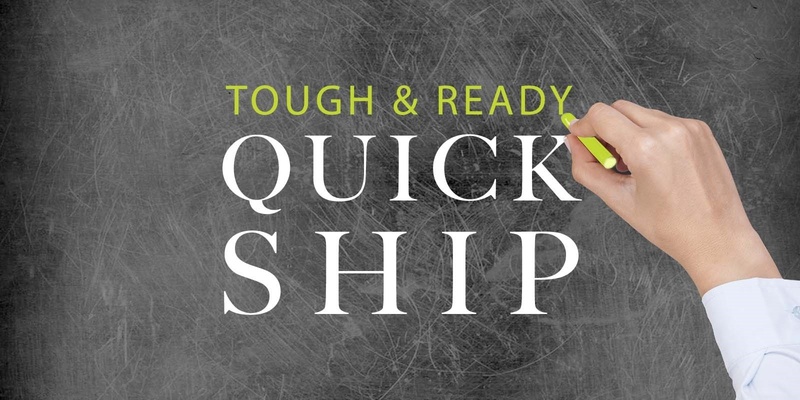 Furniture Concept’s Tough & Ready Quick-Ship collection helps you get the furniture you need when you actually need it. These furniture options are also built to the same quality standards as our regular collections and are viable for extreme use environments. All you need to do is pick and choose what furniture you need and create a wish list to receive a quote. Once we have receipt of a signed order, your order will ship out in 10 days, with some variations based on transit times and availability. All it takes is a request. Start your very own Furniture Concepts Wish List today and you’ll get a price from one of our experts. After that, it’s a quick-ship away from your facility. If you have any other questions, contact Furniture Concepts online or give us a call at 800-969-4100 today.